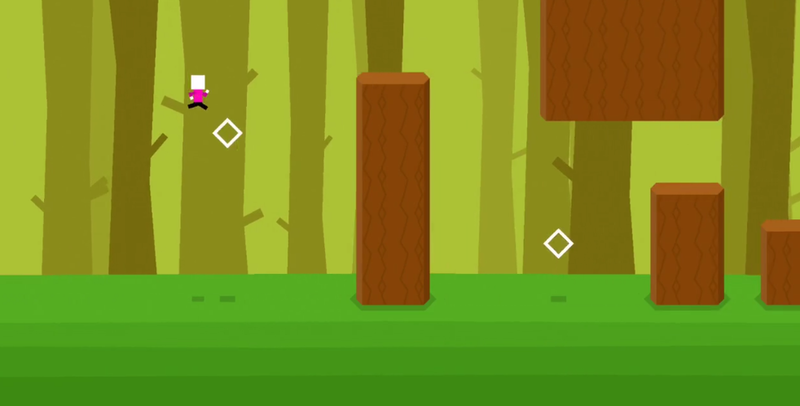 Mr Jump Review: The Mobile Game To Replace Flappy Bird? Remember those hours you spent looking at that accursed fat yellow bird as it tried to manoeuvre impossibly stacked pipes? Remember the sweat that used to form in your palms as you passed your first pipe, and the disappointment, anger, and determination that followed when you died at the next? Remember the hours you whiled away with the game, trying to crack its secret underneath your bedsheets? Flappy Bird was for many of us like a bad relationship — frustrating, painful, time-consuming, and so addictive. But if Flappy Bird is that first bad relationship, then Mr Jump is the rebound. Granted, its been over a year since Flappy Bird first hit our screens, but maybe with the time we’ve had to recover since developer Dong Nguyen took our favourite game down and broke all our hearts, we’re finally ready for something similar, but without the same drama and frustration. But can we love Mr Jump? The simple pixel-image gives off a familiar and satisfying feel, enough to make you feel comfortable in the game. It’s a world that you’ve learnt to manoeuver, and when you’re presented with that faceless man standing before upward spikes and islets surrounded by water, you know exactly what to do. You tap your way through, and die on the first spike. That frustration and adrenaline feels familiar. You love it. The game has that new mechanism that is hard to comprehend at first, but after the first few tries, you learn to appreciate it. 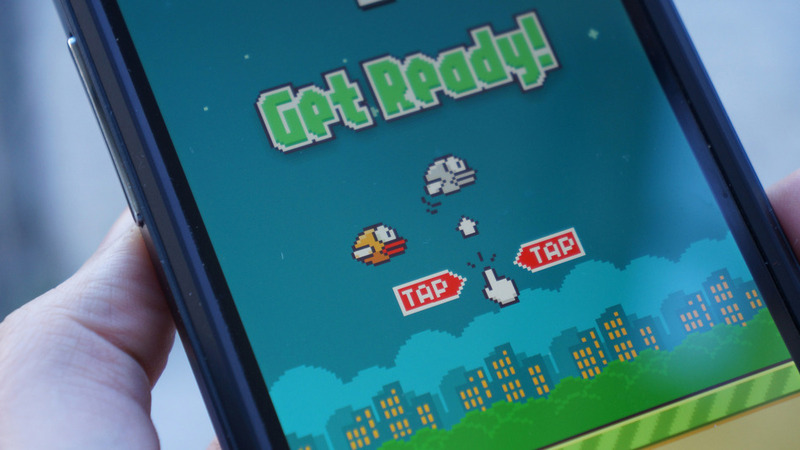 Holding down on your tap provides a longer jump, something that Flappy Bird never gave to you. You stop yourself short — you really shouldn’t be comparing; this is a whole new game. Similar, but different. Of course it’ll have new and better features. But after you die a few times, you realise a repetitiveness in the course set before you, allowing you to anticipate challenges before it comes — something Flappy Bird also never gave you. Mr Jump even likes to travel, something Flappy Bird never bothered to do. This new game looks the same, and feels the same, but is so much more giving. It’s nice, of course, to actually be able to beat your high scores for once, even if it gets a little bit boring after half a day. 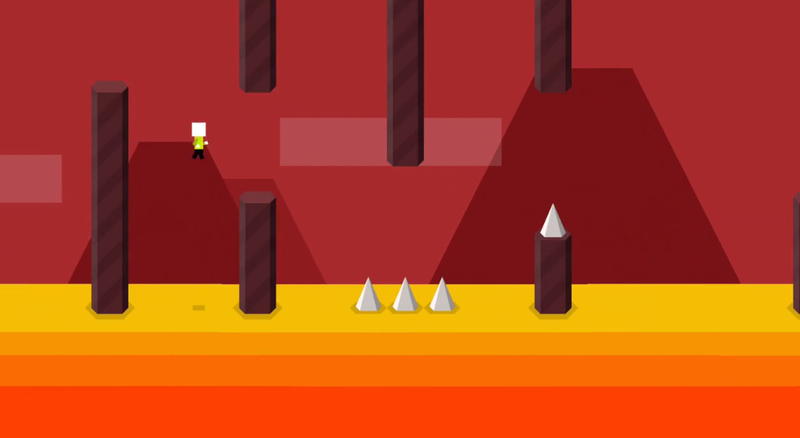 It’s also much easier playing with Mr Jump, but life isn’t as exciting as it was with Flappy Bird. So here you are, tapping on the screen that you once tapped for Flappy Bird. The last question on your mind is: can you learn to love Mr Jump? Of course you’ll never love it as much as Flappy Bird; that level of addiction and virality can’t be replicated, and in a way, that’s a good thing. But Mr Jump is a safe alternative, and that in itself is a good and bad thing. It all depends on how much you can love a rebound.